The Morbi dam disaster ripped apart an area with raw violence. It’s recreated here with insight and vividness. Among the chilling photographs of the Morbi dam disaster of August 11, 1979, is one of a man’s upright corpse pressed against a wall. It faces the wall—as if he were trying to push through to safety when death arrested him. There’s a tangle of shrub at his shoulder, a length of lumber slopes down from thereabouts. The visible arm, twisted, seems to end at the elbow, the bell-bottomed legs are crossed like Lord Krishna dancing atop Kalianag, and the head is wrenched sideways. It’s not clear if the lumber is propping him up, but volunteers found Kishore Daftari’s body in this attitude when the waters receded. Survivors remember the young lawyer shouting warnings through a megaphone from an ambulance. From the innumerable tragedies the disaster left in its wake, Daftari’s death has survived in image. Outside Gujarat, little is remembered of the Machhu-II dam washing away its embankments and wreaking havoc on Morbi and nearby villages. The memories of survivors, administrators and relief workers are fragmentary. There’s no agreement even on the death toll: it ranges from the then government’s 1,000 to the opposition’s 20,000. Accessing reams of documents and conducting extensive interviews, Sandesara and Wooten have created the big picture of how the dam came to be built with its flaw, the aftermath and the cover-up. They begin with the fable of a Bania woman who leapt into the Machhu to escape the lust of Jiyaji Jadeja, Morbi’s ruler from 1790 to 1827. Drowning, she had cried, “Seven generations hence, neither your lineage nor your city will remain”. So goes the legend, so goes a folk song. In 1978, the year the dam was completed, Mayurdhwaj, Jiyaji’s seventh descendant, was killed in a bar fight in Europe, ending the lineage. The next year, the waters of the Machhu broke the dam and thundered into town. 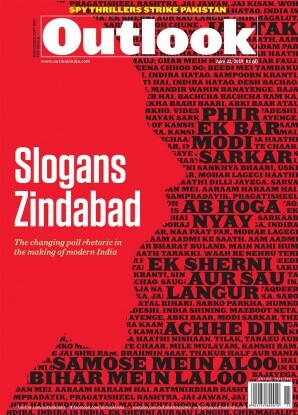 Morbi of the ’70s is recreated by writing of its very clay—the clay that fed its ceramic industries and formed the impervious core of the embankments, and figuratively its people, their caste affiliations and prejudices. Its spirit is caught in descriptions of its factories, shops like ‘Bhooth Tambool’ (Ghost Paan Shop), its palaces and the bronze bulls overlooking the river from a bridge. A cataclysm is often the result of small events: thousands of little arrows uniting into an immense vector. Chroniclers can only hope to locate key sequences; also, key individuals who, through their situation at ‘creodic’ points, could have influenced events. Their judgement must be tentative, their greater task writing the human saga, of individual effectiveness and ineptitude, glory and defeat; of individual effort flailing about but resplendent in the vortex of chance; of stoic acceptance; of ordinariness transformed by the smallest act of kindness or heroism; even of ordinariness being itself, for that is much of the human condition. In both, the authors succeed. Event by bureaucratic event, they set out how departments bent the recommendations of the Central Water & Power Commission, building for a much smaller ‘design flood’ (the biggest a dam can withstand) than they should have planned for. 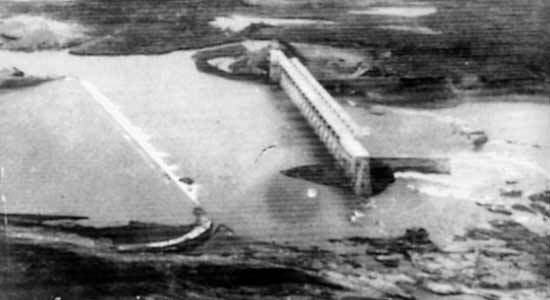 This caused the disintegration of the embankments in the heavy rains, leaving the concrete spillway in the middle intact. But the authors’ bigger success is in the story-telling, vivified by presenting it as people in Morbi experienced it. The 148 interviews that made this possible began with that of the Shuklas, Sandesara’s maternal grandparents. Growing up in a Gujarati family of New Jersey, Sandesara heard from them the monsoon poem of his grandfather, a retired college principal from Morbi. They told him of the floodwaters tossing railway carriages around in the shunting-yard behind their house. There’s even a cobra in the story: driven by water, it had invaded their maidservant’s room. The poignant stories are of people like Gangaram Tapu, a tough and charismatic murder convict: freed by the floodwaters, one leg wounded, he brought 70 people to safety, till his muscles quivered with fatigue and made swimming impossible. Mayor Ratilal Desai, worrying about his own missing son, watched over the body of an unknown child in his house for days. He later learnt of his son’s death: the teenager, who had joined a rescue team, had been swept away while scaling a public urinal to avoid a sudden wave. With a burdened heart, Desai joined operations to clear Morbi of mud, debris, decomposing bodies. This work is both a chronicle and a cautionary tale. More than that, it is a labour of active remembrance. The title passed into common usage to des­cribe repetitive living.